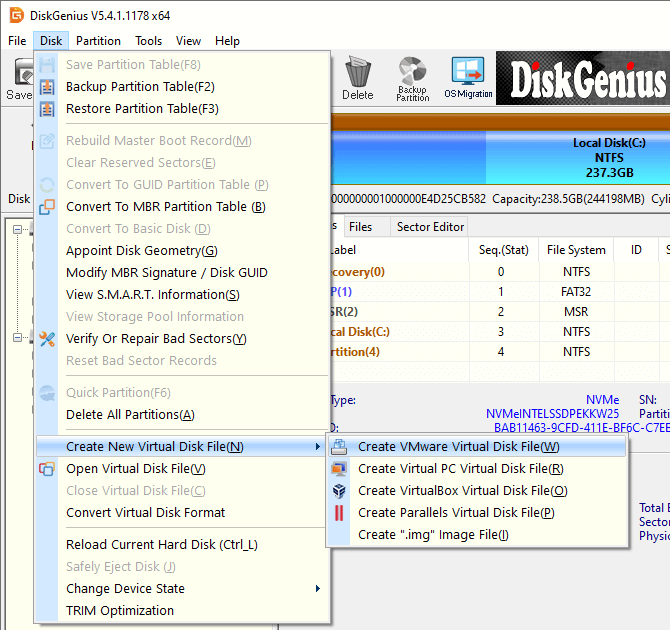 DiskGenius supports to create VMware virtual disk file and manage files and partitions on it. 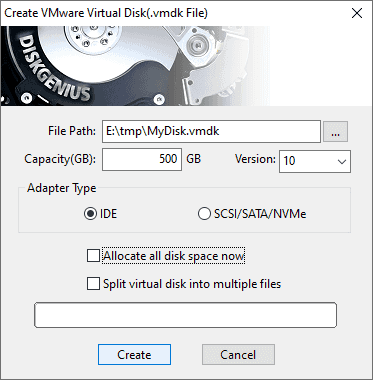 Step 1 Launch DiskGenius and select menu "Disk" -> "Create New Virtual Disk File" -> "Create VMware Virtual Disk File". Step 2 Set file path, name, capacity, etc. and click "Create" button. Then the virtual disk will be created.